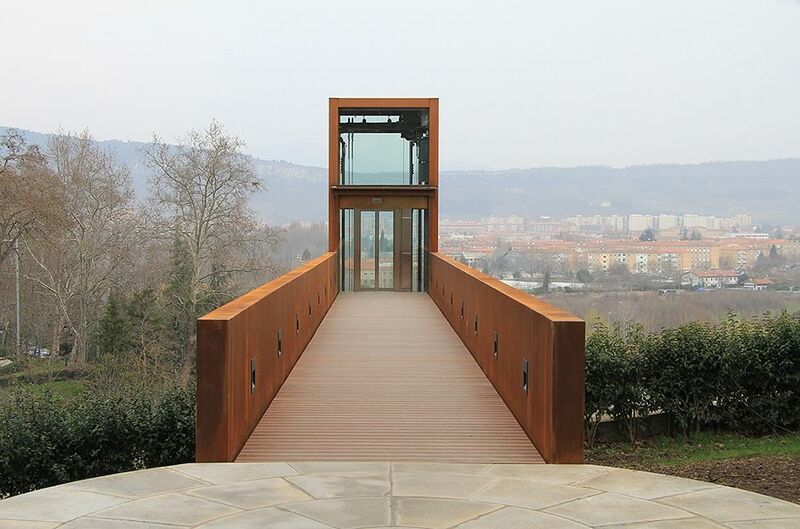 Client: Pamplona City Hall . Strategic Projects Centre. 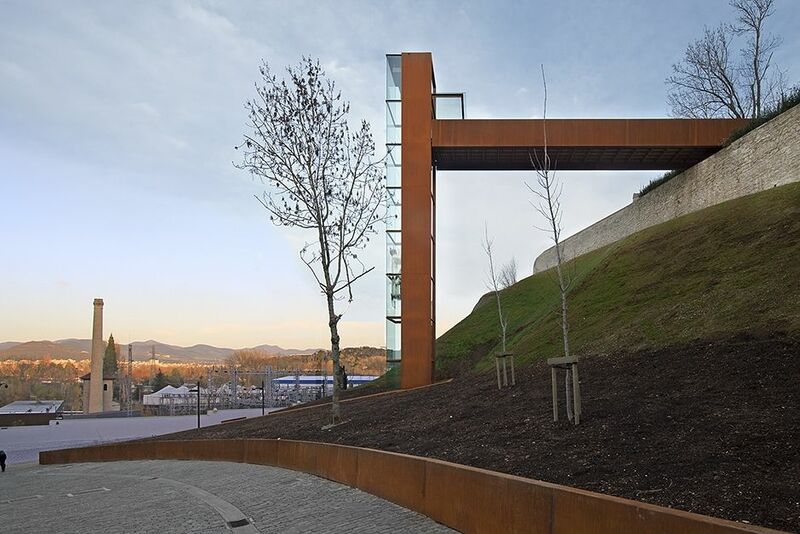 The aim of this actuation is to improve accessibility between the Parque de la Media Luna and the Paseo Fluvial del Arga with an urban elevator that connects the Fortín de San Bartolomé and the environs of Molino de Caparroso. 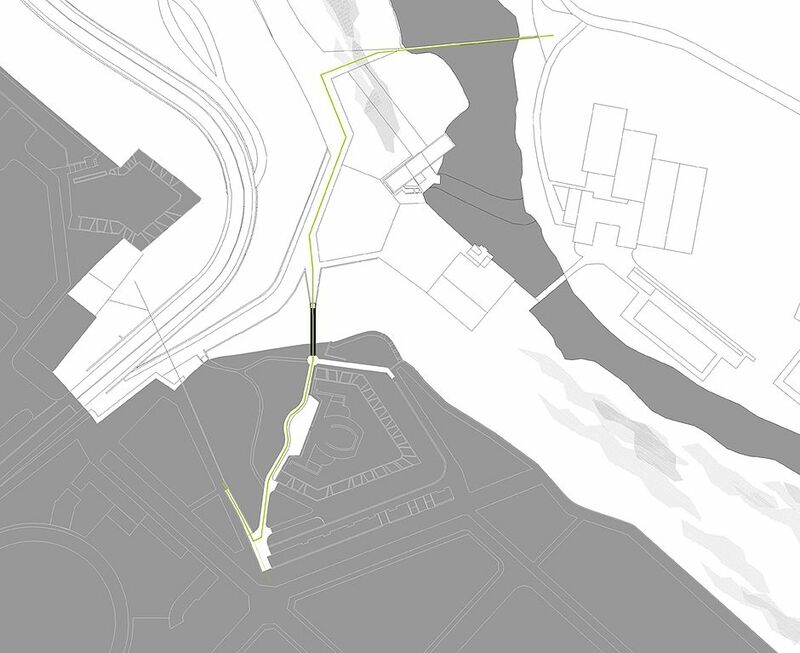 It will ameliorate both accessibility and direct connection between the Chantrea and Milagrosa neighborhoods with the city´s Segundo Ensanche. 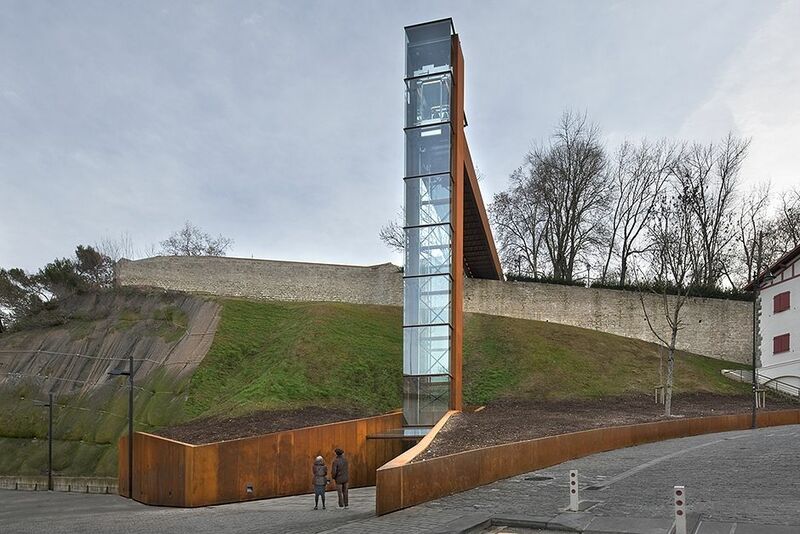 The project involves urbanising the elevator boarding area, elimination of architectural barriers in the accesses and cleaning up and conditioning the piece of wall and the vegetable slopes situated in the actuation area. 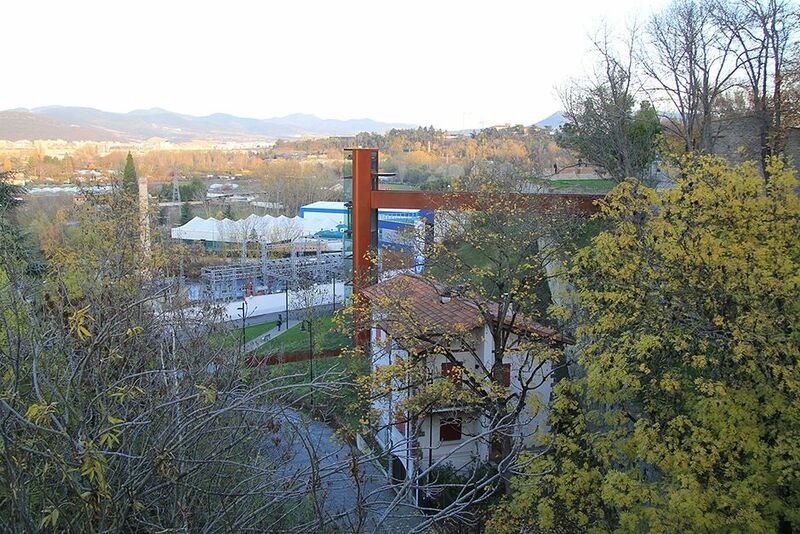 According to the design of the unit, it has been intended giving both the elevator tower´s volume and the footbridge the same character in order that the structural solution is the same in both cases: diaphragm walls and corten steel box girders that as a continuous sketch resolve the whole project. The connexion system consists of an electric panoramic elevator with a capacity for 22 persons (1.600 Kg) with cabin interior dimensions of 1650 x 1950 mm. In the superior and inferior boardings two canopies are projected that will protect from the rain when waiting and on the way out. 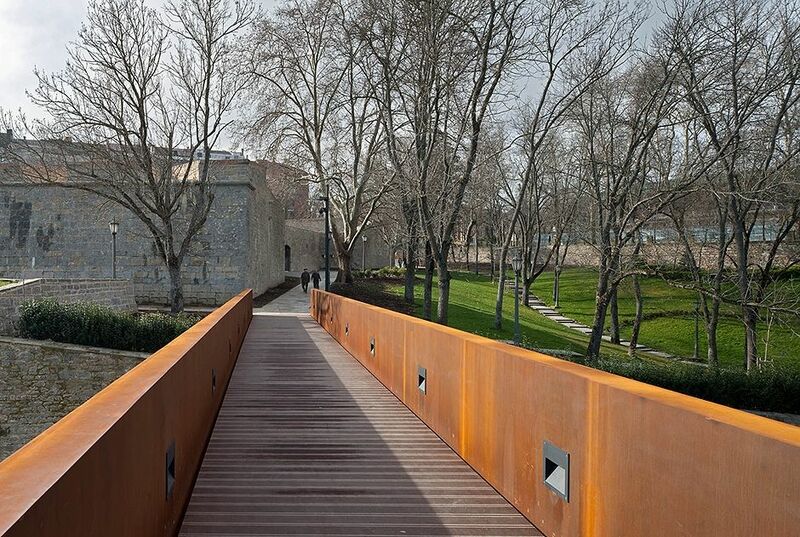 The footbridge is 24 m long and the elevator´s travel is 20 m.
The access to the footbridge is located where the Fortín de San Bartolomé meets the exterior wall. 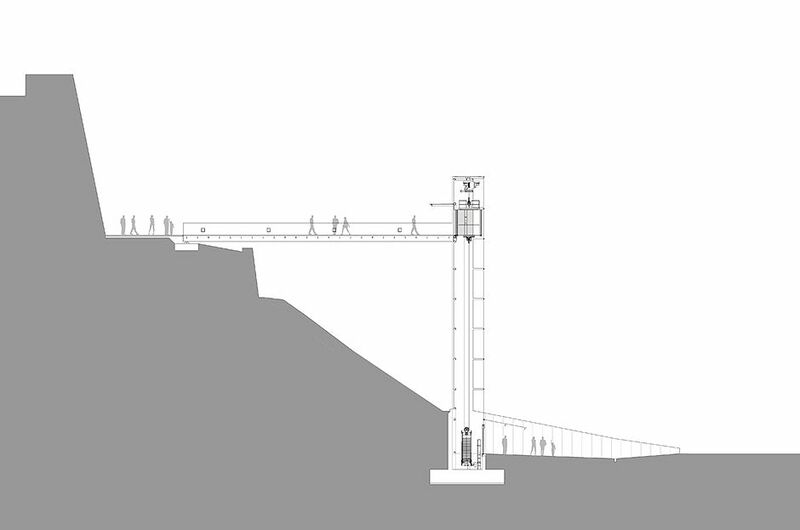 The lower boarding is situated next to the slope making the access as wide as possible. 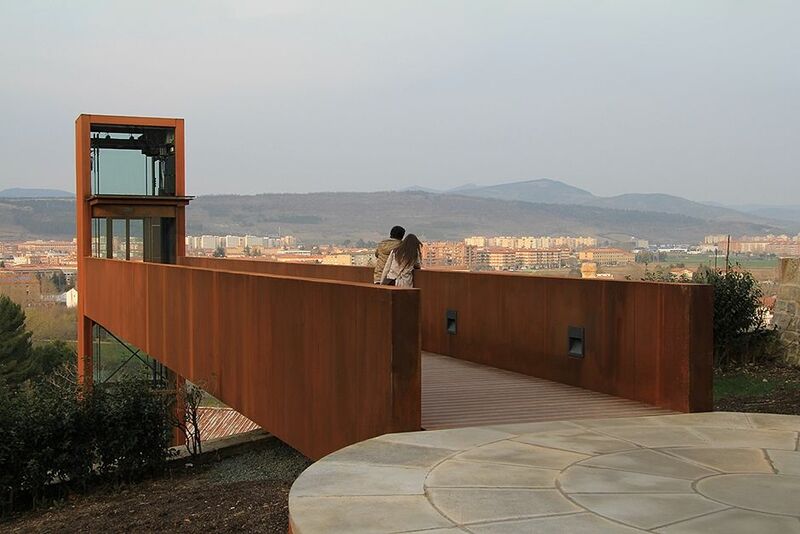 It is a space covered by a glass canopy and widened concrete walls coated by corten steel, the same material used for the tower and the footbridge.